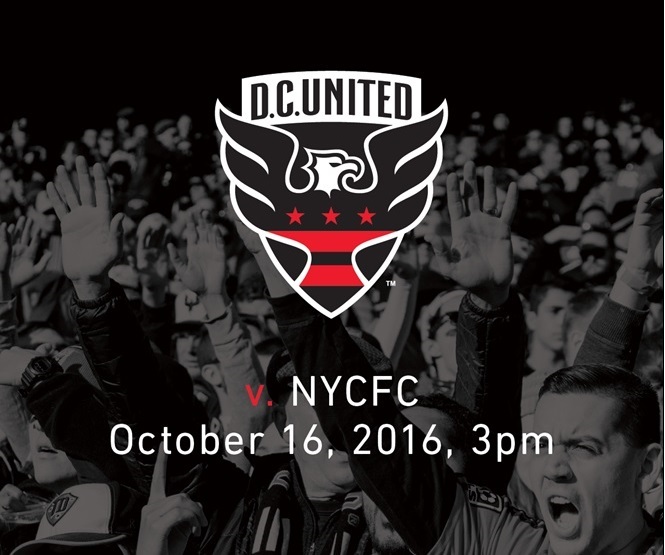 D.C. United would like to extend a special invitation for you and your family/friends to attend the season finale this Sunday, October 16th at 3pm as D.C. United takes on Pirlo, David Villa, and Frank Lampard of NYC FC. If we win, we will clinch a playoff spot! Come out a little early for a free team poster upon entry, as well as a special meet and greet (picture and autograph session) with D.C. United players in the Field Level Fan Zone!